Referendum Stage – Now It’s Up to You! 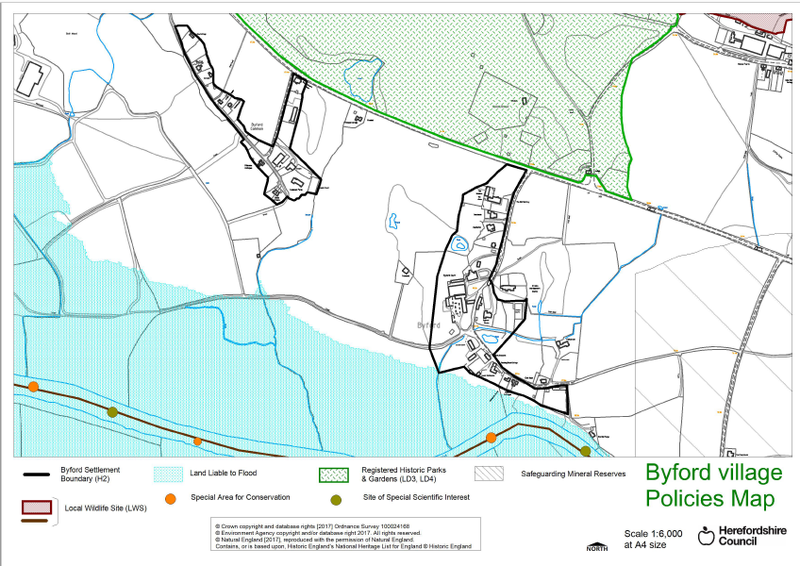 Our Neighbourhood Development Plan has been accepted by Herefordshire Council to proceed to a referendum by our residents, when you will have the chance to say whether you agree with it or not. Anyone whose name is on the electoral roll for the five parishes will be eligible to vote in the referendum which will take place on Thursday May 30th. 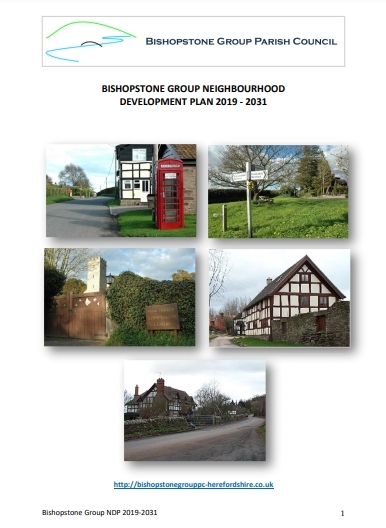 The question on the voting paper will be “Do you want Herefordshire Council to use the Neighbourhood Plan for Bishopstone Group to help it decide planning applications in the neighbourhood area?” – and if more than 50% of those who vote say yes the NDP will be “made” and will become part of Herefordshire Council’s planning policy. We have continued to respond to queries from the examiner. 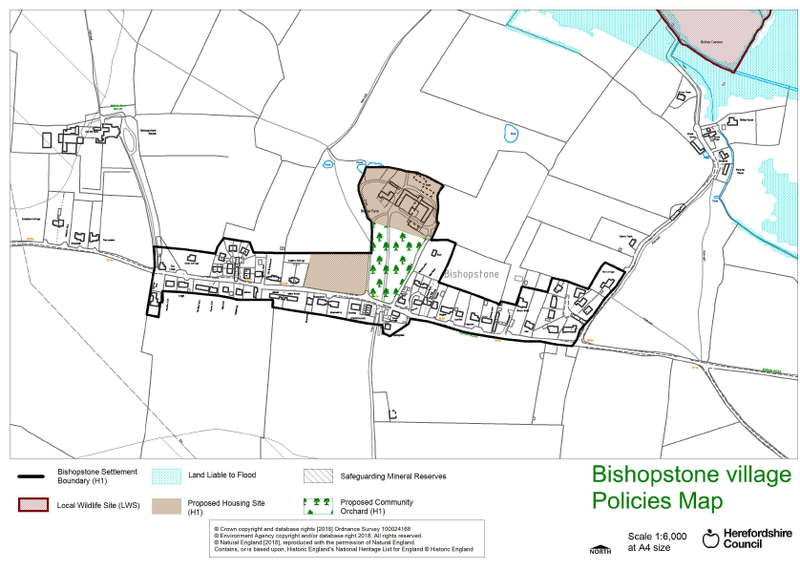 The examiner has now recommended a further consultation regarding the environmental assessments (SEA and HRA) for all the Bishopstone site options considered during the Neighbourhood Development Plan process. These assessments have been completed and are now on the Herefordshire Council website. The consultation on the SEA and HRA will run from the 14th January until the 18th of February and the relevant documents, together with the other documents produced during this examination stage, can be found on the website here. Thank you to all of you who sent in your encouraging and constructive comments to Herefordshire Council during the Regulation 16 Consultation. We have just heard that the Council has approved our Plan (with your comments) to move onto the next stage (Regulation 17) which is examination by an independent inspector. We understand that the examination is proposed to take place some time in September after which the inspector will report back to Herefordshire council and, if all goes well, we should be able to proceed to a referendum. We will continue to keep you informed of progress – keep your fingers crossed that we are beginning to see light at the end of this seemingly never-ending process! 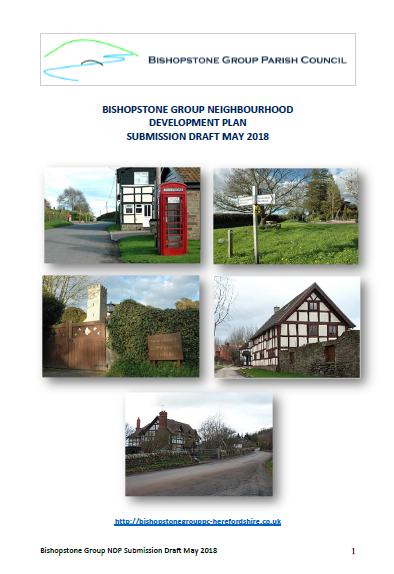 In 2016 the Parish Council completed its Draft Neighbourhood Development Plan (NDP) and submitted it for Regulation 14 consultation by residents of our five parishes, Herefordshire Council and other stakeholders. We received a large number of comments which we have used in preparing a revised NDP which we are now submitting for Regulation 16 Consultation. Following this consultation the Plan can be approved to proceed to examination and referendum. 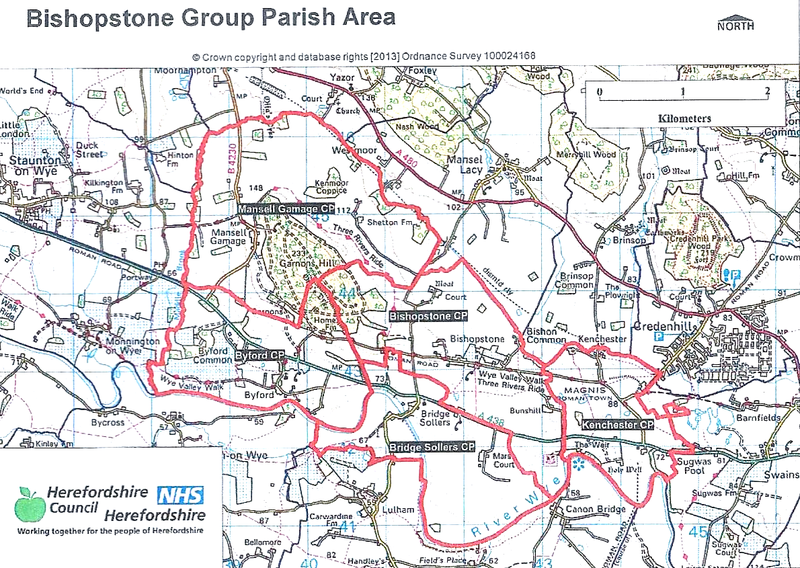 Herefordshire Council is in charge of this consultation which runs from May 24th to July 5th. This is now closed.